***Author’s note: Due to strong language and sexual content, this book is not intended for readers under the age of 18. Jake Undone was another perfect example of why I love Penelope Ward and her books so much! She never ceases to blow me away and always creates incredibly unique and beautiful storylines and characters that are extremely hard to forget. Jake Undone was no exception. I absolutely loved Ms. Ward’s writing style and the truly addicting and intriguing storyline and characters she created in this book. Jake and Nina were amazing, especially Jake, and I absolutely loved them and their story. It wasn’t anything like I was expecting, but it made me very happy. I loved Jake and Nina’s personalities, and their strong chemistry and connection together. I really enjoyed how their relationship progressed throughout, and I loved reading it from both of their perspectives. I enjoyed most of their banter and interactions with each other, especially towards the beginning /middle when they were friends and getting to know each other. I really enjoyed some of the secondary characters, namely Skylar and Mitch. They were both, especially Skylar, very entertaining and I loved their small addition to the story. There were a few parts that frustrated and annoyed me, and I didn’t care for all that much, but despite that, I absolutely loved this book. 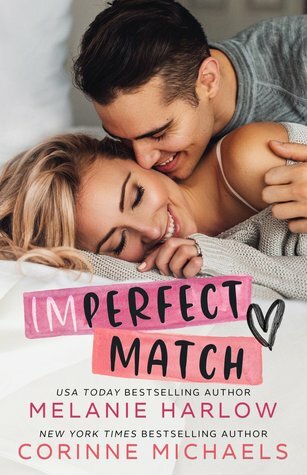 Jake and Nina were some of my favorite characters that Penelope Ward has written so far and I couldn’t have been happier with the conclusion to their story. It might have been a little rocky at times, but all of the ups and downs were truly worth it in the end. Jake Undone was a phenomenal standalone contemporary romance and one of my favorites from Penelope Ward. She did an amazing job with Jake and Nina’s unique and intriguing story and I was very pleased with the outcome. Penelope Ward is hands down one of my top favorite contemporary romance authors and I am head over heels in love with all of her books. I am so excited to devour more of her amazing stories, starting with My Skylar next! FIVE “Jake & Nina” STARS! Thank you so much, Mia! It’s one of my favorites too!